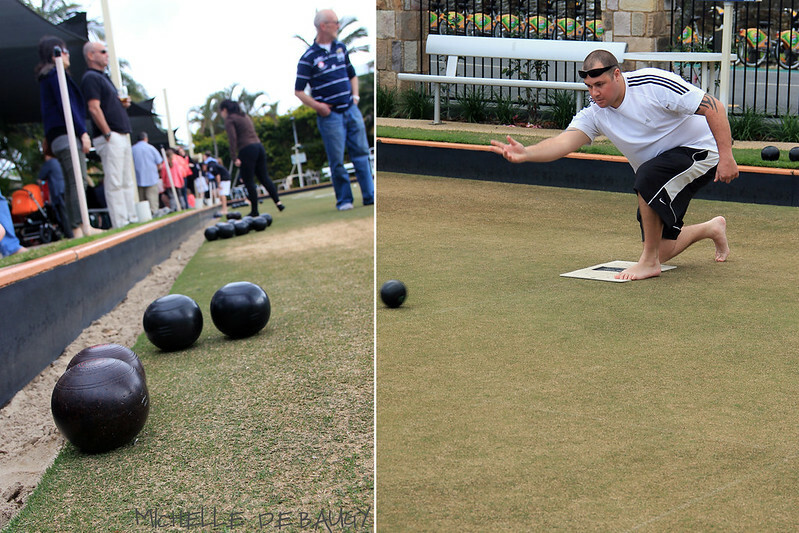 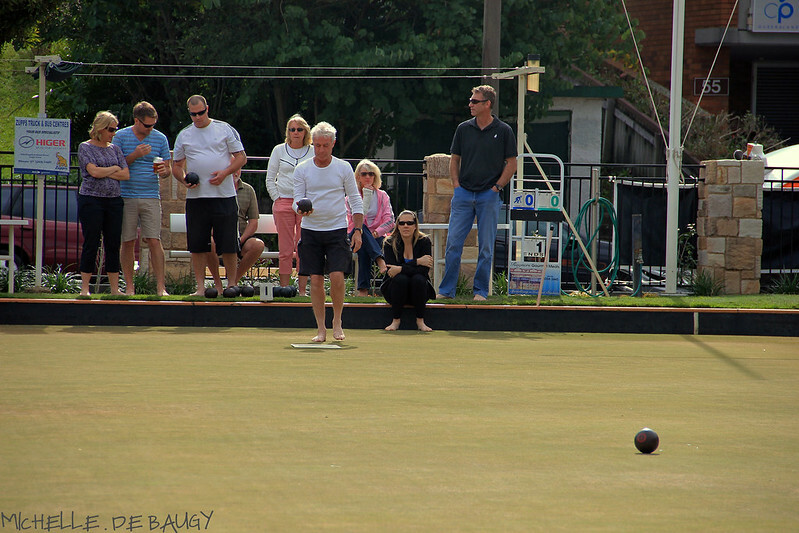 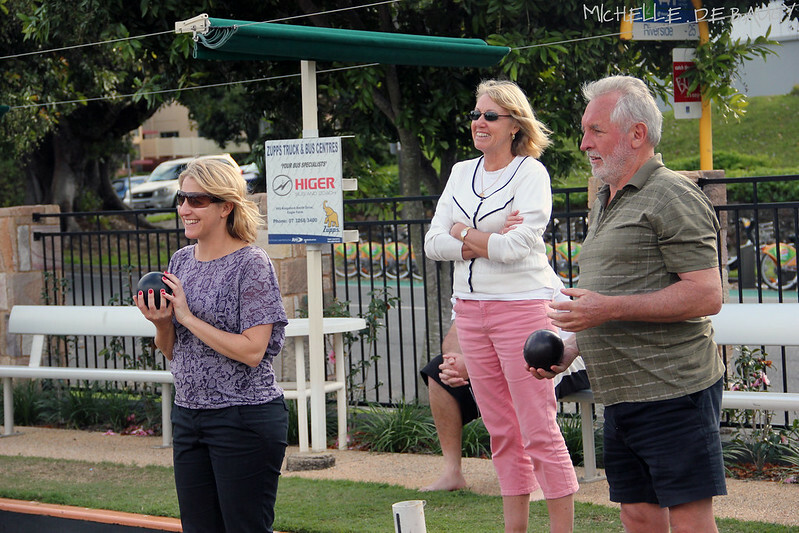 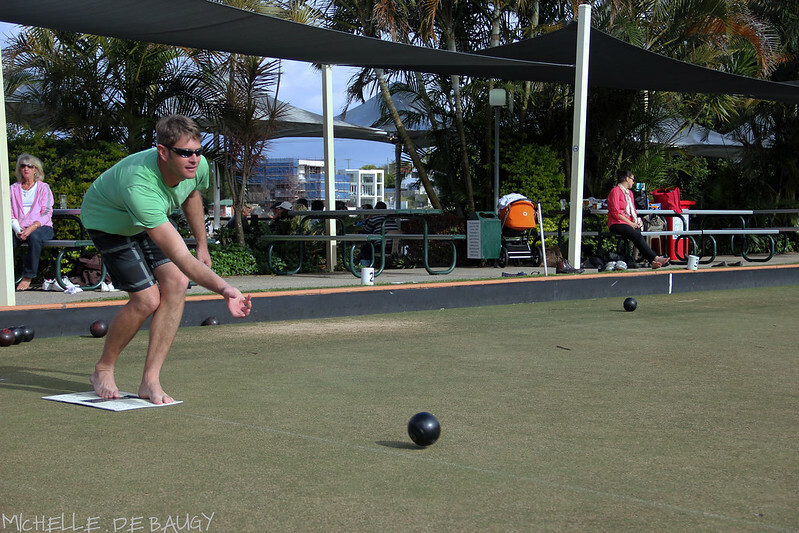 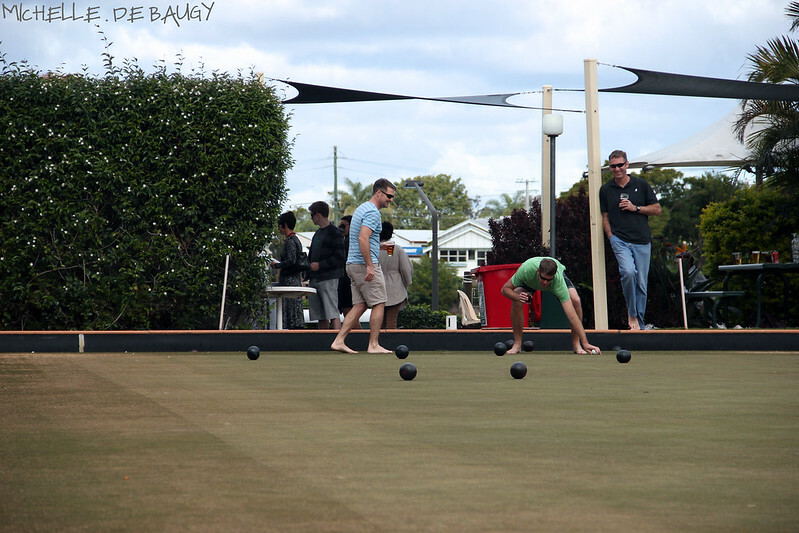 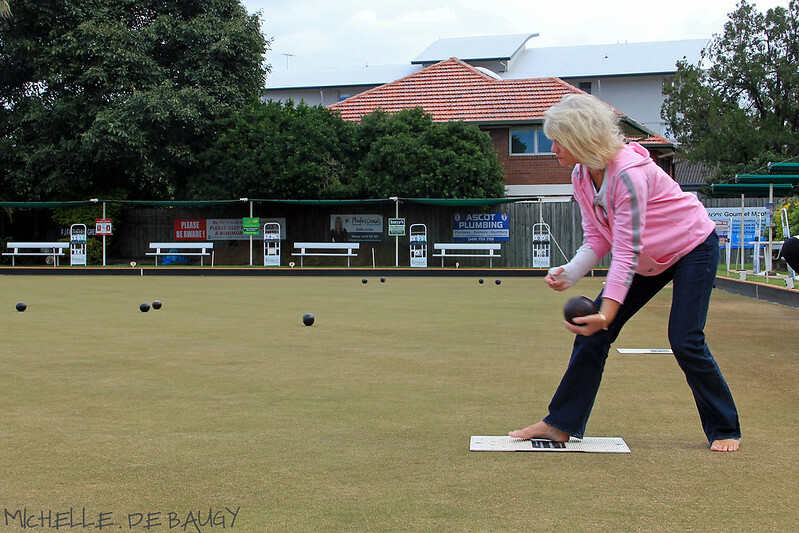 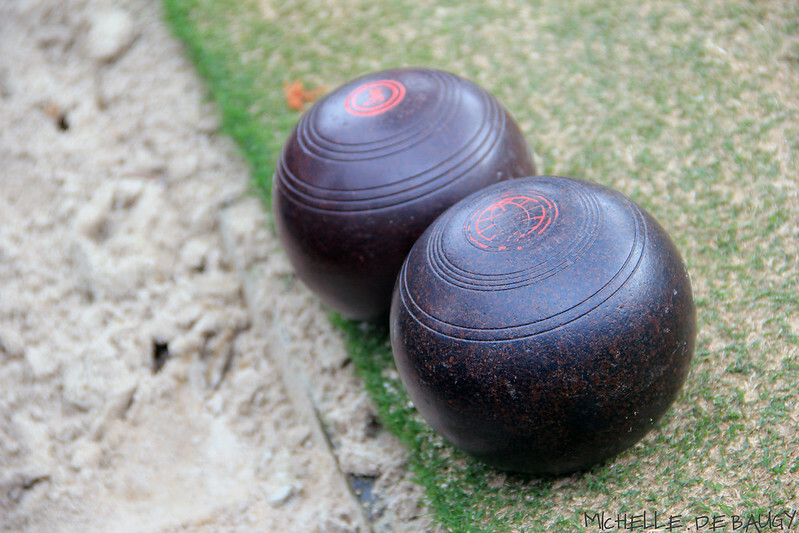 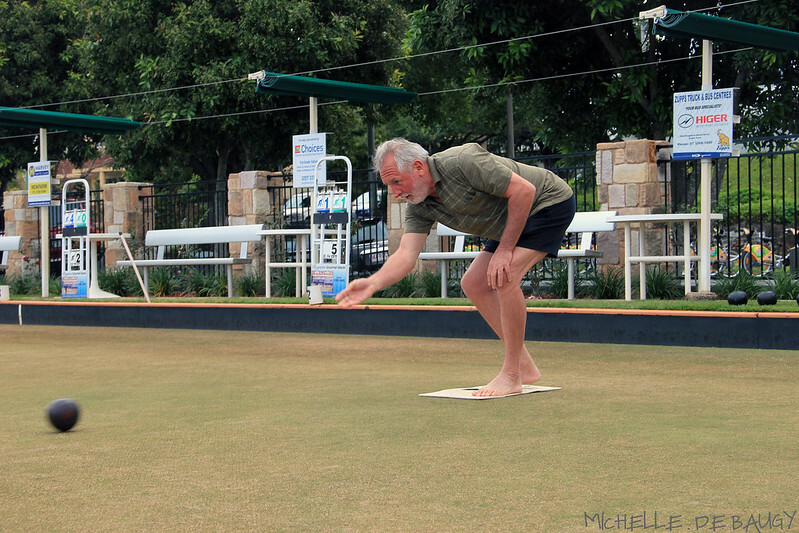 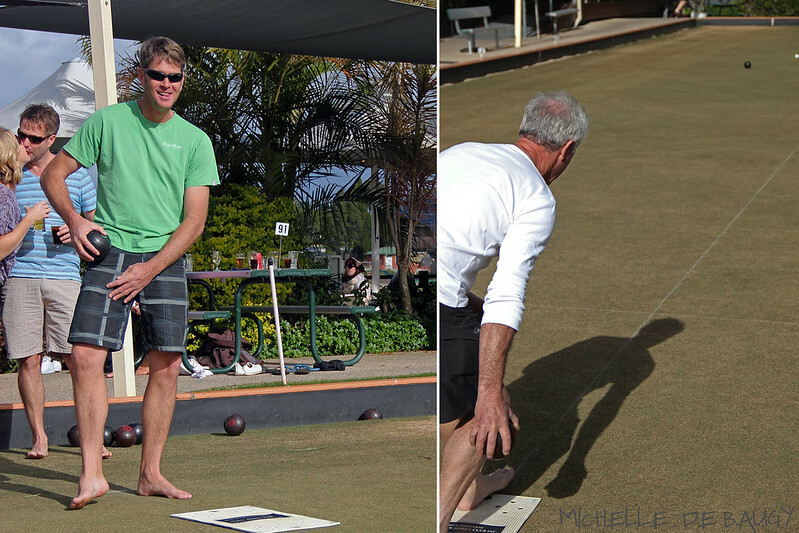 Our Life Down Unda: barefoot bowls. 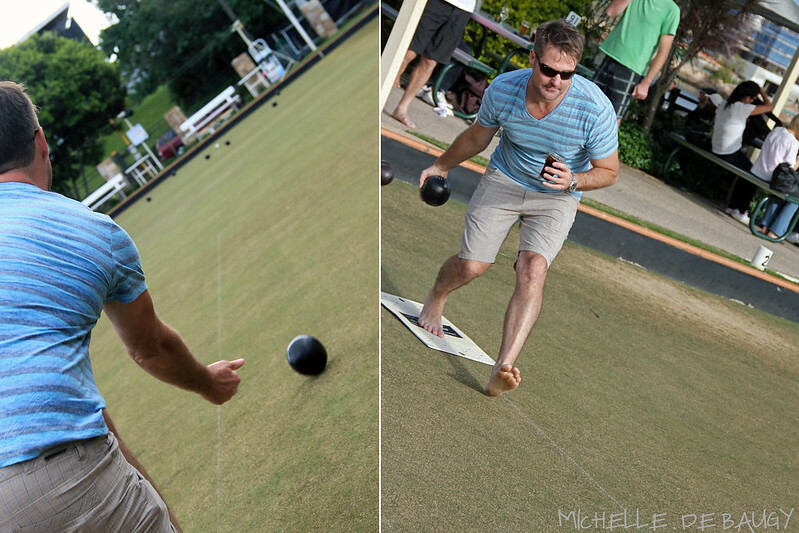 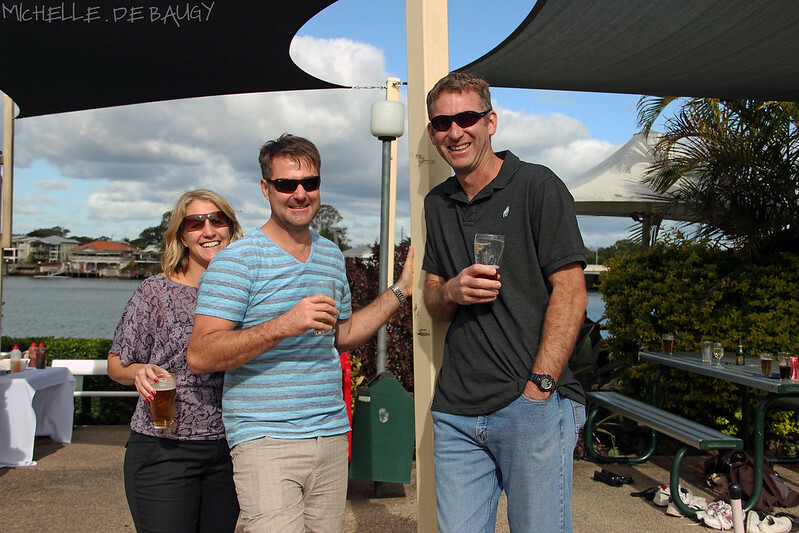 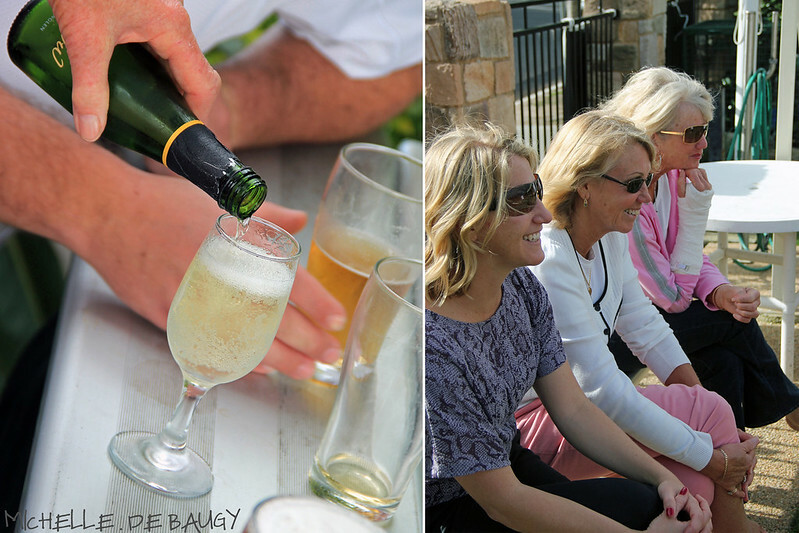 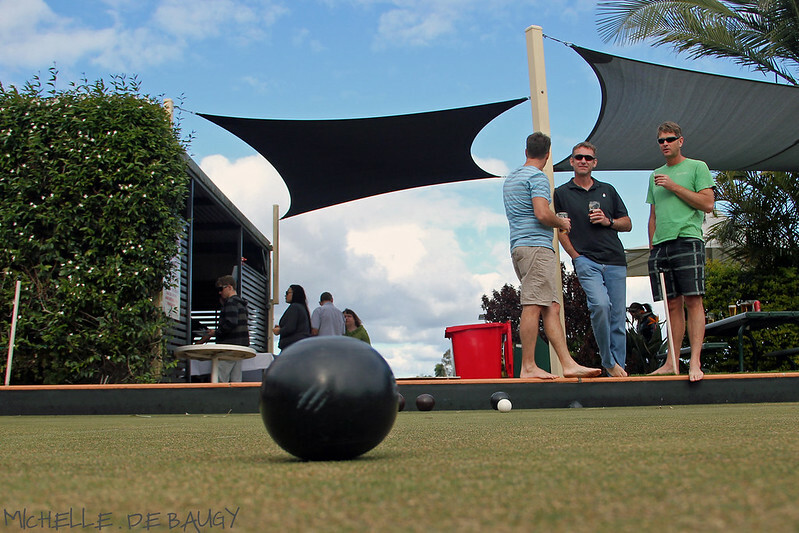 Last weekend we celebrated Thomas' 40th birthday with a big party at a chic lounge bar on Saturday night and a good ol' fashion game of barefoot lawn bowls on Sunday afternoon! 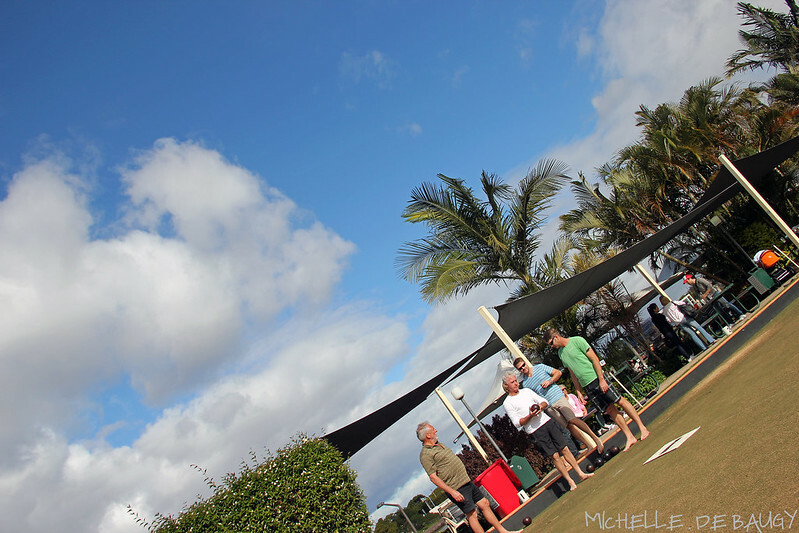 After a late night celebrating with friends the evening before, an afternoon game of barefoot lawn bowls was just everyone needed. 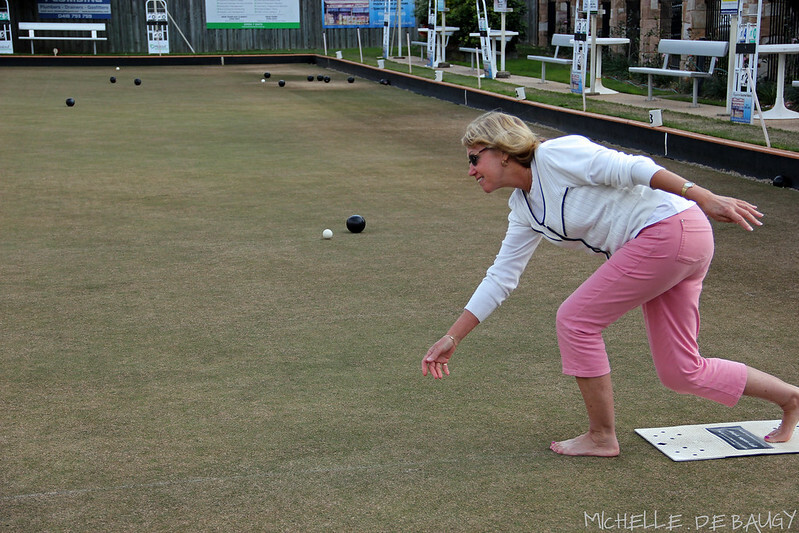 I am not sure of the exact history behind this game, but there are "bowls clubs" all over Australia! 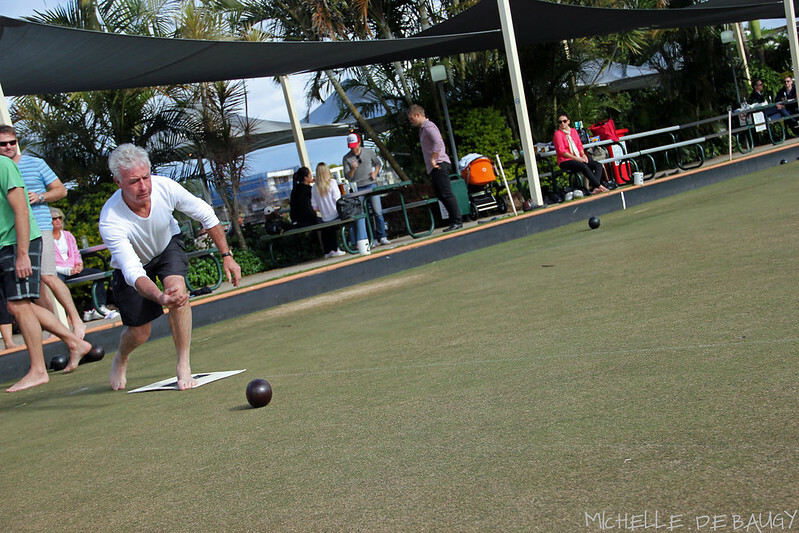 This was the first time I had played barefoot bowls and let me tell you... 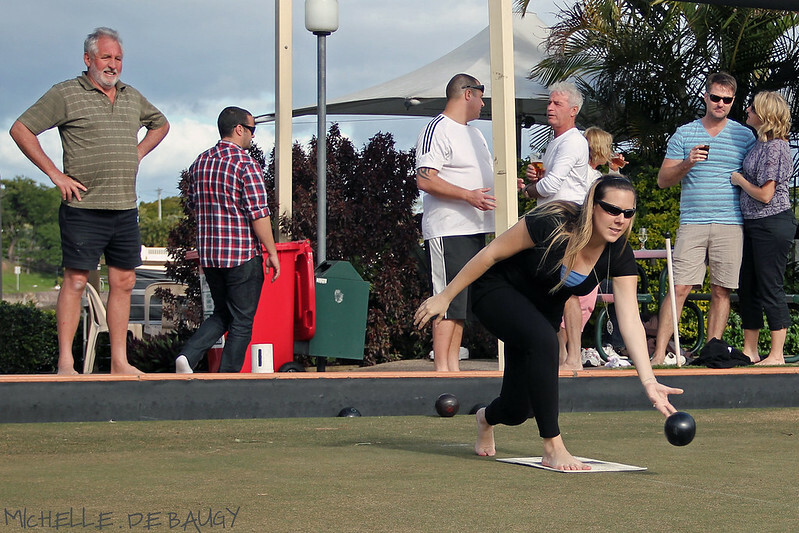 I was awful! 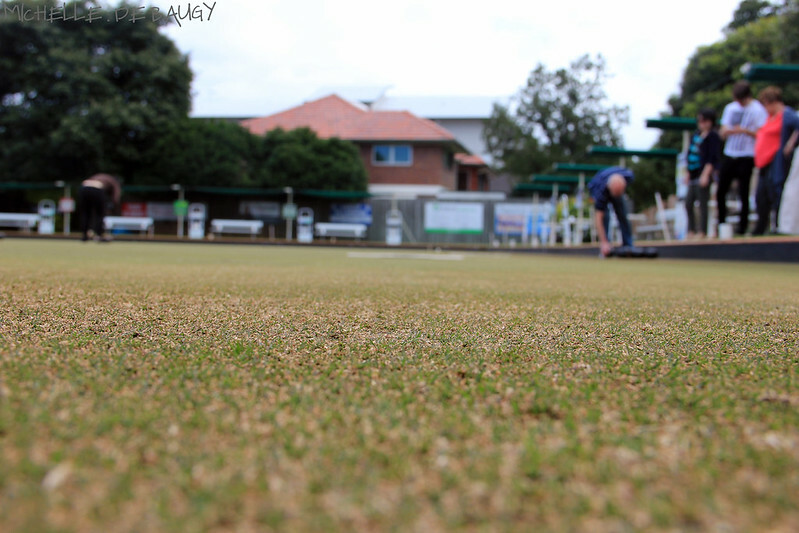 The object of the game- to get your teams ball closest to the white ball at the other end of the green.